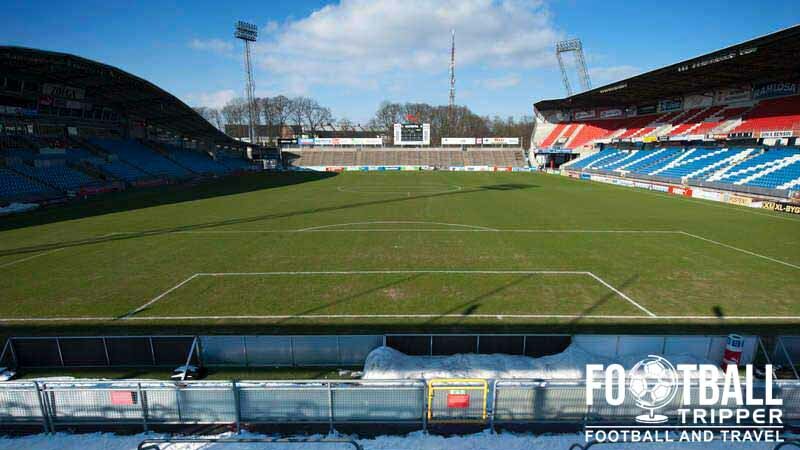 Olympia Helsingborg sometimes referred to as just Olympiastadion is a purpose built football stadium located in the southern Swedish city of Helsingborg. Dating back to the 19th century, there doesn’t appear to be any connection to the Olympic Games which started in 1896 two years before the ground opened. Helsingborg’s Olympia stadium first opened in 1898 two years after the birth of the modern Olympics, however it was not constructed to coincide with the city hosting the athletics competition. Undoubtedly inspired by the event, the municipally owned stadium was built to give the city its very own set of sporting facilities. Since opening, Olympiastadion has undergone three major renovations, having most recently been rebuilt between 1993 and 1997. Currently the stadium is capable of accommodating 17,200 fans for domestic football matches or 13,000 for UEFA sanctioned games. This is because standing is not permitted for European matches, and the 7,500 terrace places become converted to seating. The Olympia was famously selected as one of twelve venues for the 1958 World Cup in Sweden. With a capacity of 27,000, it was the fourth largest of the tournament but due to the tournament’s featuring less countries back then, it only hosted two matches in total. They were: West Germany v Czechoslovakia (2-2), and Czechoslovakia v Argentina (6-1). To date the record attendance sits at 26,154 which was set on 4th May 1954 during a match between Helsingborgs IF and Malmö FF. Neither World Cup game managed to meet this figure with attendances of 25,000 and 16,418 respectively. 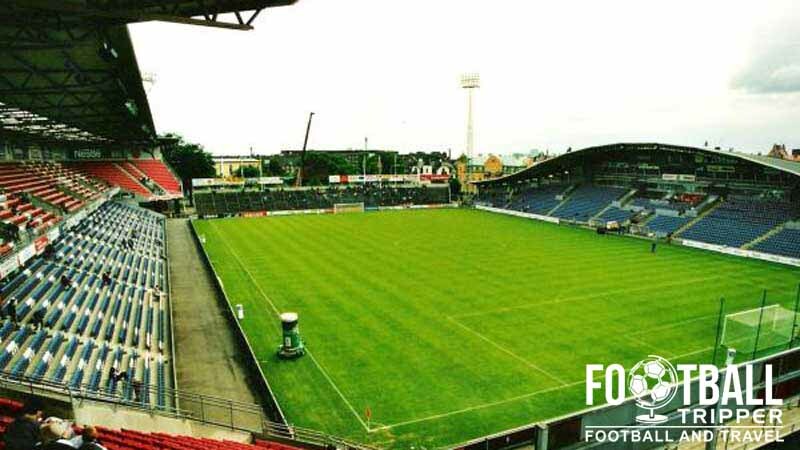 As for the future of Olympia Stadium, Helsingborgh City Council unanimously approved large scale renovation work on October 22nd 2014. Set to begin at the end of the Allsvenskan season, and be completed three years later in mid 2017, the stadium will be more or less completely rebuilt from the ground up. Olympia Helsingborg is comprised of four stands: North, East, South and West. 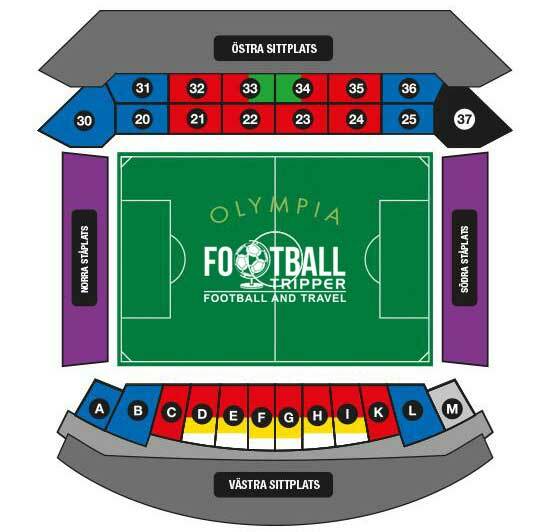 Away fans (Bortasupportrar) are housed within section 37 of the Östra (Stand) as per the blacked out section in the above seating plan. Essentially visiting supporters watch the game from the south-east corner. Helsingborg IF run a fan shop at the Olympiastadion which supplements the merchandise available on the club’s official webstore. On matchdays the fan store is usually open for up to three hours before kick-off, and as you can imagine is immensely popular with the fans. It doesn’t seem as if the stadium’s owners, Helsingborg City Council, currently offer guided tours of the Olympic Stadium. Maybe this will change in the future after the renovation. 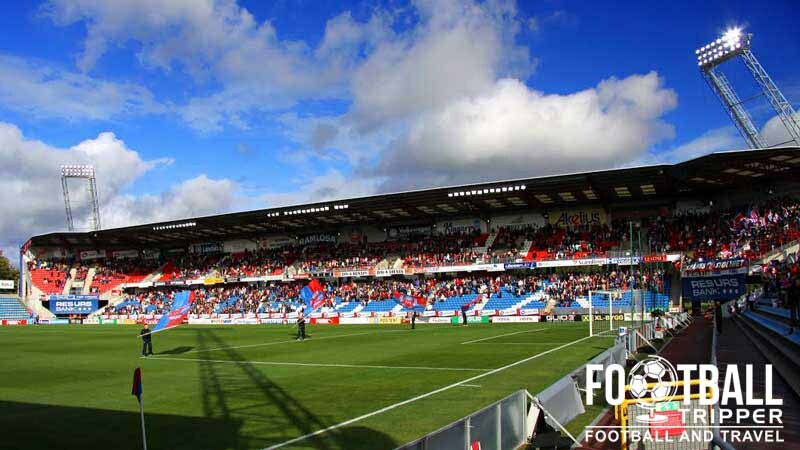 Tickets to see Helsingborgs IF play at the Olympia can be purchased online from the official website, from the club shop and from the various ticket booths around the ground which specifically open on matchdays. Prices vary depending on who the opposition is with tickets currently divided into three tiers for the matches of Allsvenskan depending on the profile of the opposition. As a result it’s impossible to comprehensive list prices here but for standard matches expect to pay 150 kr for a place behind the goal, and 340 kr for something fairly central across both grandstands. Olympia Helsingborg is located approximately 1.0 km east of the city centre which overlooks the ferry harbour. The walk will likely take most Football Trippers through Slottshagen Park and no more than 15 minutes. There appears to be very limited parking at Olympia itself with the wider sports complex appearing to have a few more spaces although the matchday parking arrangements remain unclear. Helsingborg Centralstation as the name suggests is located in the heart of the city centre around 1.2 miles from the football stadium. There are a number of direct intercity services to the likes of Gothernborg and Malmo. 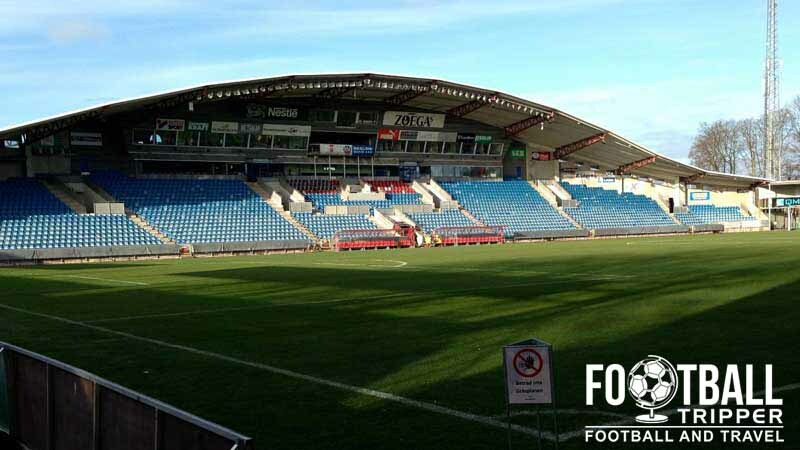 Another external look at Helsingborgs IF’s football ground. “Helsingborg Olympia” bus stop is located along Mellersta Stenbocksgatan west of the stadium. It is served by bus numbers 6, 10, 220, 230, 506 and 520. On matchdays there is the number 84 bus which is free for those in possession of a valid ticket. The closest airport is Ängelholm–Helsingborg some 35 km north of Helsingborg central however it only offers a limited number of flights around Sweden and Scandinavia. Within 10 minutes you can access all of Helsingborg’s accommodation options which like most other Scandinavian cities are generally quite expensive on average. Cheap and close to the Olympia Stadion is the three star Hotel Tornet, with the similar Hotell Viking only a few minutes further along.